Traditionally, Picrorhiza kurroa, also known as Kutki, is a well-known herb in both Indian Ayurvedic medicine and traditional Chinese medicine. It has been used to treat disorders of the liver and upper respiratory tract (including bronchial asthma), reduce fevers, and to treat dyspepsia, chronic diarrhea, and scorpion stings and snake bites. But primarily, it is known as a liver herb that not only protects and heals the liver, but also prevents liver toxicity, neutralizes harmful biochemical changes in the liver caused by many toxic agents, and even improves the flow of bile. Let's look at some of these benefits in a little more detail. Numerous animal studies have demonstrated that the active biochemicals of Picrorhiza root are an effective means for a liver detox--they, in fact, showed significant curative activity--vis-à-vis numerous toxic agents such as galactosamine, thiocetamide, and carbon tetrachloride. When administered, the toxic agents produced a 40-62% inhibition of cell viability. On removal of the toxic agents and the addition of the Picrorhiza extract, a concentration dependent reversal of these negative effects was seen in as little as 48 hours. A similar effect was seen when oral Picrorhiza extract was administered to rats poisoned by aflatoxin B1 exposure. Picrorhiza kurroa "significantly prevented the biochemical changes induced by aflatoxin B1." Now, while it is true that most of us are not too worried by things like hepatitis, cirrhosis, or ingesting carbon tetrachloride, we still subject our livers to constant stressors that ultimately damage and destroy liver cells—and, remember, that damage is cumulative over time. Thus, any herbs that are hepaprotective and that promote liver regeneration, of which Picrorhiza stands at the top of the list, are an essential component of any health regimen, and why you’ll find this particular herb in Jon Barron’s Liver Tincture formula. Similar to milk thistle, Picrorhiza has been shown to stimulate liver regeneration in rats. Specifically, studies have shown that oral administration of Picroliv®, a standardized fraction of roots and rhizomes of Picrorhiza kurroa, showed stimulation of nucleic acid and protein synthesis in rat livers. Results are comparable to those seen when silymarin is administered. Even better. Picrorhiza extract was also shown to be effective in reversing alcohol-induced liver damage in rats. Treatment restored the damage in a dose-dependent manner (36-100%) over 45 days. This is significant for anyone suffering from cirrhosis. Studies indicate that Picrorhiza extracts appear to be of therapeutic value in treating viral hepatitis. An in vitro study investigated anti-hepatitis B-like activity of Picrorhiza and found it to have promising anti-hepatitis B surface antigen activity. In addition, in a randomized, double-blind, placebo-controlled trial of 33 patients diagnosed with acute viral hepatitis, 375 mg of Picrorhiza root powder was given three times daily for two weeks to 15 of the patients, while the remaining 18 patients acted as controls and received a placebo. Bilirubin, SGOT, and SGPT values were significantly lower in the treatment group (that's a good thing), and the time required for bilirubin values to drop to 2.5 mg % was 27.4 days in the treatment group versus 75.9 days for the placebo group. As mentioned earlier, one of the Picrorhiza or Kutki benefits is its demonstrated cancer protective properties. When tested against human breast cancer cells and human prostate cancer cells, Picrorhiza extracts exhibited promising antioxidant potentials and were also observed to be cytotoxic at the tested dosage and were able to target the cancer cells and kill them. In yet another study, Picrorhiza extracts demonstrated chemoprotective potential against chemically-induced liver tumors and induced sarcoma tumors and chemically-initiated papilloma formations. The bottom line is Picrorhiza kurroa extract has incredible liver protective and regenerative capabilities. In this case, the whole is greater than the sum of its parts. And again, most of us are not dealing with the extreme circumstances covered in the studies, but what those studies tell us is that Picrorhiza is a mandatory ingredient for protecting our livers against the cumulative assaults of daily life. 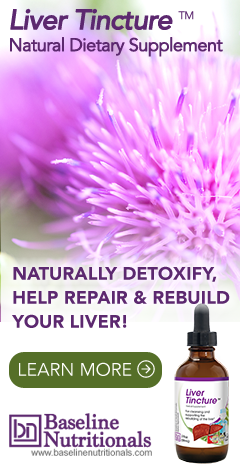 Learn more about liver detox.